Good morning. It's Thursday, Feb. 28. • Rising Russian River unleashes worst flood in 25 years. • Google and other tech giants embrace oil companies. • And a look back at stunning portraits of Native Americans. Fire burned around PG&E transmission towers in Butte County on Nov. 12. 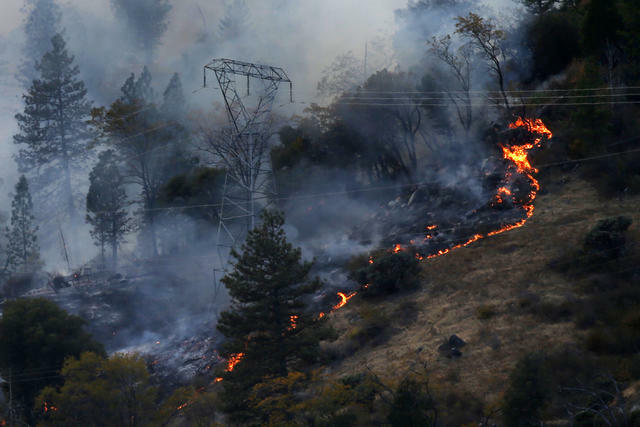 PG&E knew for years that repairs were needed on a high-voltage line in the area where California's deadliest and most destructive wildfire erupted last year. Regulatory filings showed the lines were designated for upgrades in 2013, 2014, 2015, and 2016. The work was never done. "It is sickening to see this," a consumer group said. In California, you are required to report suspected child abuse if you're a cop, doctor, therapist, or one of dozens of other categories of worker — but not priests taking confession. State law carves out an exception for so-called "penitential communication." Now a lawmaker has introduced a bill to close the exemption, and some church leaders aren't happy about it. "It looks like a dragon's breath with fire coming down from the mountain." 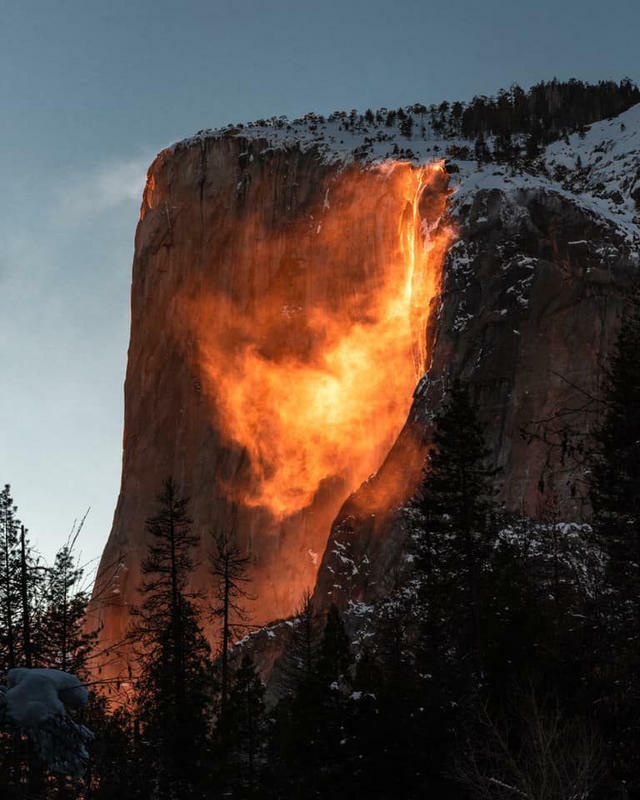 A San Francisco photographer hiked 30 minutes through the snow last week to capture some of the season's best pictures of the firefall, the annual phenomenon when the setting sun appears to turn a Yosemite waterfall into flowing lava. Ted Chin shared one of his images with the Sun; he's got a couple more from the series on Instagram. 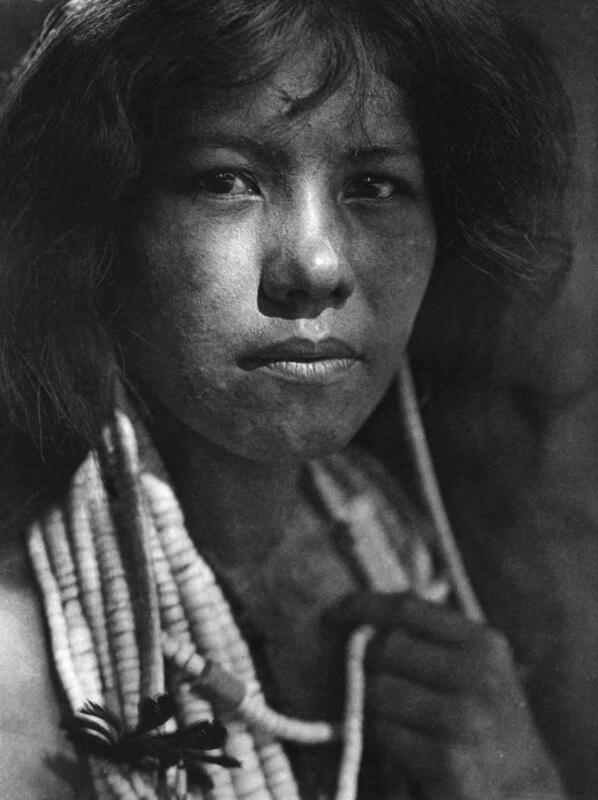 In the early 1900s, the photographer Edward S. Curtis set out to create a comprehensive visual record of Native Americans. Over the next 30 years, he visited dozens tribes across the American West — including Cahuilla, Cahto, Pomo, and other indigenous peoples of California — taking more than 40,000 pictures. The work has been alternately celebrated as among the most ambitious photo projects ever and criticized as a perpetuation of the "noble savage" myth. Here are a couple collections. 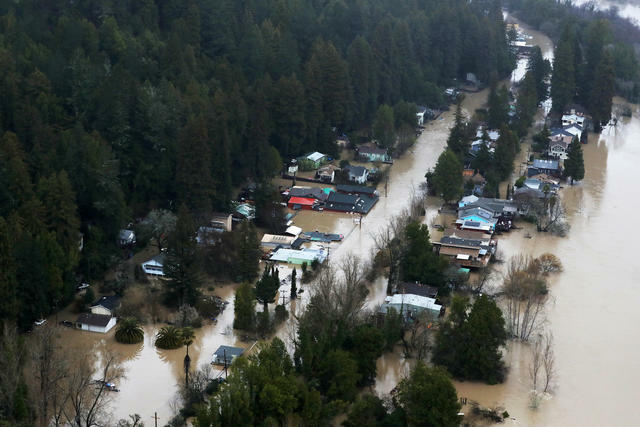 A neighborhood in the river town of Guerneville was flooded on Wednesday. "Good morning. Guerneville is officially an island." Intense rain in Northern California sent Sonoma County's Russian River surging over its banks, swamping at least two dozen low-lying towns and more than 2,000 homes and other structures. The river topped 46 feet, its highest level in 25 years, and wasn't expected to recede until late Thursday. Some residents refused to evacuate. "I have been through all the floods," one man said. "This year, it's a tough one." Mercury News | A.P. 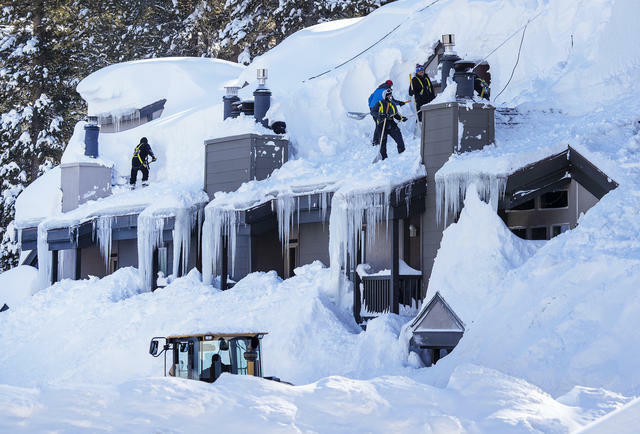 Workers dug out condos in Mammoth Lakes this month. Google, Microsoft, and Amazon have been quietly teaming with oil giants, providing artificial intelligence and big data services to enhance exploration, extraction, and production. While the Silicon Valley heavyweights often extol their clean energy investments, Gizmodo reported, "they are in reality deep into the process of automating the climate crisis." 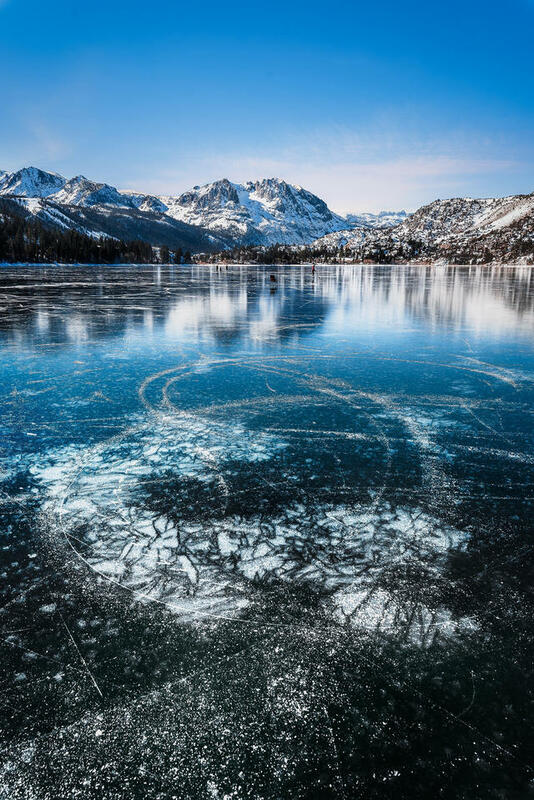 The Sierra's snowy peaks get all the attention during winter, but its countless alpine lakes dress in a winter garb arguably no less dazzling. Here's June Lake, not far from Mammoth Mountain, frozen over in late January. The loop that takes you by the lake is among the prettiest stretches of road in the Eastern Sierra. The charming village of June Lake has its annual winter festival this weekend. 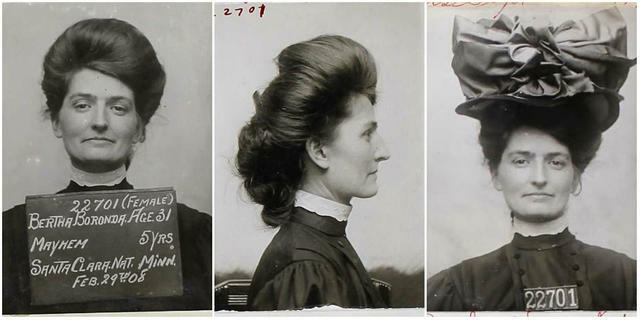 Here's Bertha Boronda, appearing in mugshot photos after being charged with the crime of "mayhem" in 1908. A new documentary series on Lorena Bobbitt has brought renewed attention to her 1993 dismemberment of her husband. But long before that case shocked the nation, San Jose had Boronda. According to news accounts, Boronda attacked her husband with a razor as he lay in bed — "maiming him fearfully" — after fighting over his alleged intention to leave her. During Boronda's trial, she claimed no recollection of the crime: Her mind was blank. She got five years in state prison. 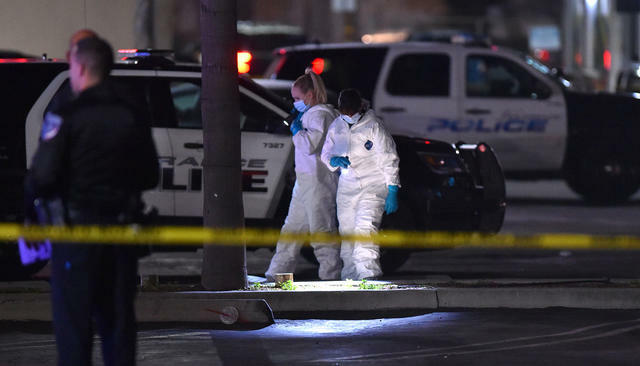 Police officers responded to a shooting in Torrance last month. Schools are meant to be safe places for students. But at 89 percent of Los Angeles County's public high schools, someone has been killed within walking distance. The L.A. Times published a special project on what it's like for kids attending the schools surrounded by the most homicides. "You don't know when it's going to be a person's last day," a 17-year-old said. The border wall prototypes stood for more than a year before being torn down Wednesday. 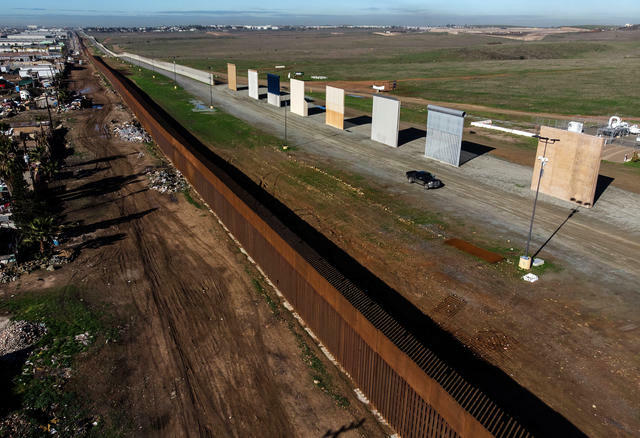 Crews started demolishing the eight border wall prototypes that loomed for 16 months near the San Diego border, ending an experiment that served as a symbol of President Trump's commitment to fortifying the border. In the end, officials opted for fencing based largely on older designs. The prototypes cost most than $3 million. The Hollywood Reporter did a cover story on the Jussie Smollett saga. Among its findings: The actor was one of the most popular castmembers on the "Empire" set. None of his colleagues could fathom that he would fake a hate crime. "I'm trying to filter all this information through the experiences I've had with him," one person said, "and it doesn't connect." Kareem Abdul-Jabbar took a shot against the 76ers during the 1982 N.B.A. finals. 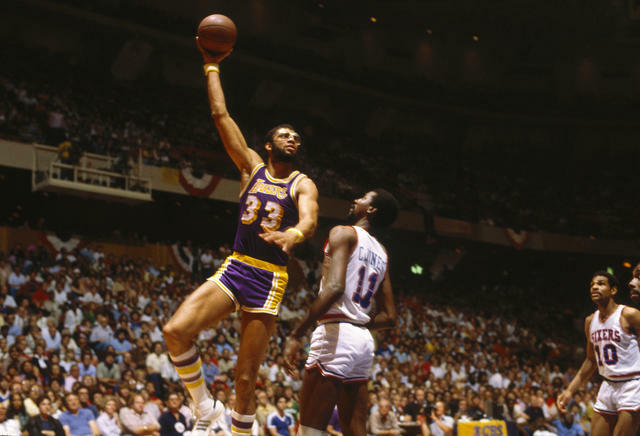 Kareem Abdul-Jabbar, Lakers great, put four of his N.B.A. championship rings up for auction, with the proceeds going to charity. "When it comes to choosing between storing a championship ring or trophy in a room, or providing kids with an opportunity to change their lives, the choice is pretty simple," Abdul-Jabbar said. "Sell it all." Photo courtesy of the Flower Fields. 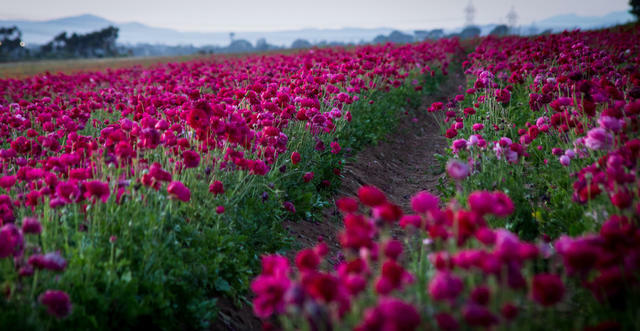 After a drought-busting winter, the Flower Fields in Carlsbad are shaping up for one of the best seasons ever. Each spring, the working farm lets the public wander its carefully manicured rows of white, red, yellow, purple, pink, and orange ranunculuses. Friday is opening day. Here's a collection of photos from past blooms. California's bighorn sheep roam from arid desert to the snowy peaks of the Sierras. 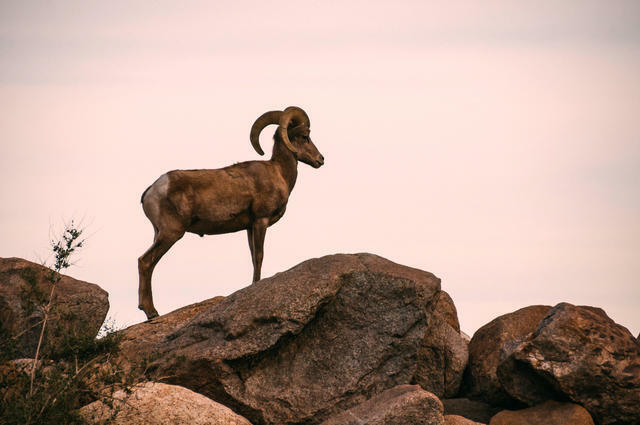 People pay six-figure sums to hunt bighorn sheep in California. Non-hunters might assume that burly animals like bears or moose would be most prized by hunters. But its the curly-horned ram that commands by far the highest tag price in California. In a feature on sheep hunting, the N.Y. Times explained that chances at a wild sheep are rare. Moreover, the hunts can be epic, commonly lasting weeks in some of the world's most remote and rugged terrain. At the annual big game tag auction in Reno this month, a permit to hunt a California Desert Bighorn sold for $140,000. A couple years ago, someone paid $235,000. "As far as sheep-hunting being a rich man's sport, that's absolutely true," a big-game hunter told the Times. "But if it weren't for the rich man, those sheep wouldn't be there." It's a paradox that hunters make some of the largest contributions to conservation. Money from permits and taxes on weapons provide more than half of the funding to state wildlife agencies. Yet interest in the sport has plummeted over the years in California. Faced with falling revenue, the state announced an initiative this month aimed at enlisting more eco-minded residents to take up the hobby. An earlier version of this newsletter misstated the timing of a California poppy bloom in Lake Elsinore. The cited article was from 2017, not this week.